GALION — Mr. and Mrs. Leonard E. Pollock will celebrate their 60th wedding anniversary on August 2, 2018. 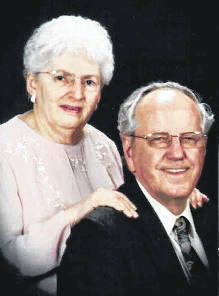 Mr. Pollock and the former Beth Ann Woolensnider were married August 2, 1958 at Peace Lutheran Church by the late Rev. Phillip E. Auer. Their family includes a son, Steve; and a daughter, Carrie Pollock. Both are from Galion. Mr. Pollock retired from Carter Machine Co. and his wife retired from H&R Block. They will celebrate the occasion with family.